237 Pennsylvania Ave SE, District Of Columbia, 20003. For the last seven years, the Starbucks store at 237 Pennsylvania Avenue SE has been a gathering place for local residents, tourists and political luminaries alike. 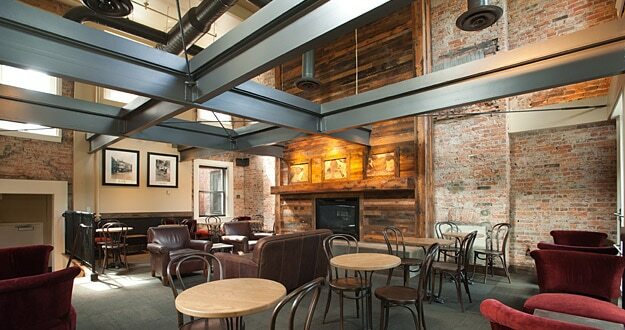 The recently renovated space draws upon the area’s rich commercial and political history and is located in the vibrant Capitol Hill neighborhood, just blocks away from the U.S. Capitol, Supreme Court and House and Senate buildings. The renovation showcases locally sourced materials as well as reused and recycled elements, from the artwork to the wood flooring. Wood used for the community tables, banquettes, condiment carts, bar cladding and trim was locally sourced and is Forest Stewardship Council certified. Flooring was made from reclaimed wood by a vendor in Charlottesville, Virginia. Carpet on the second floor is Green Label Plus certified. Custom graphics were created by a local graphic design firm.